The Soll Center for Student Opportunity is rooted in a promise: When intellectual rigor and personal insight are blended with expert guidance and real-world resources, extraordinary opportunities ensue. 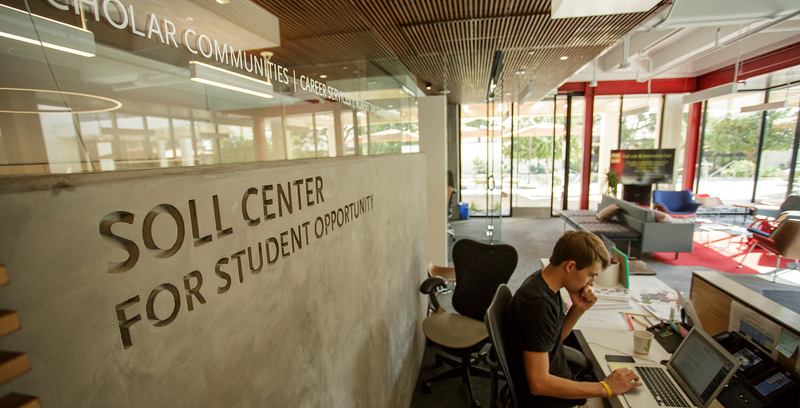 The Center is home to three important resources: Career Services, Scholar Communities and Sponsored Internships & Experiences. A dedicated team of professionals provides personalized support for students at all stages of their college experience with complementary advising, coaching, mentoring and networking services. This support also extends to our alumni post-graduation. As a collaborative, student service-focused hub, the Center partners with academic, co-curricular and extracurricular resources across the depth and breadth of the CMC community—both on campus and beyond—to help students recognize, cultivate and translate their interests and strengths into meaningful and exciting real-world experiences. These experiences range from internships and fellowships, to graduate and professional programs, to employment and career enrichment. Students are welcome to take advantage of not only an industry-leading first-year counseling program, but also an ongoing, proactive guidance model. The Center concentrates interest-driven programs and tools in a central, accessible office. 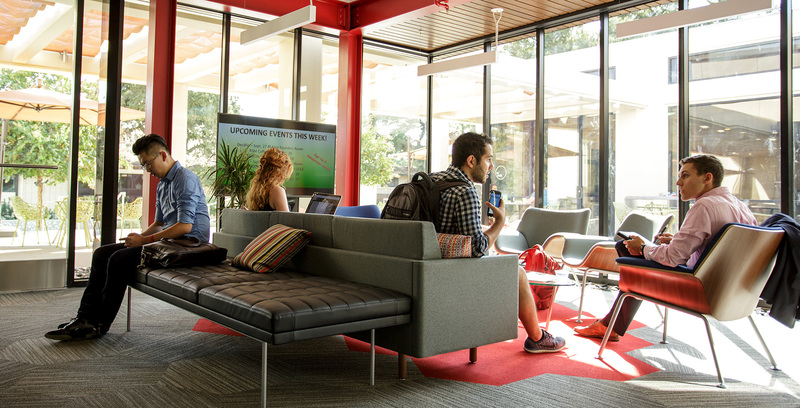 Students will encounter an open floor plan, flexible meeting spaces, private interview rooms and outdoor seating, along with a staff committed to positive, thoughtful problem-solving.